Depending on who you listen to, it’s the end of the world, or it isn’t. A loud and lively debate that springs up in the media every time a new sign of potential methane instability or apparent increasing emission from methane stores is reported by Arctic observational science. On one side of this debate are those declaring the apocalypse is nigh due to, what they think, is an inevitable catastrophic methane release driven by an unprecedentedly rapid human warming of the Arctic. A release large enough to wipe out global human civilization. These doomsayers are fueled by a number of scientists (usually Arctic observational specialists) who continue to express concern — due to an increasing number of troubling, if not yet catastrophic, rumblings coming from the Arctic carbon store. 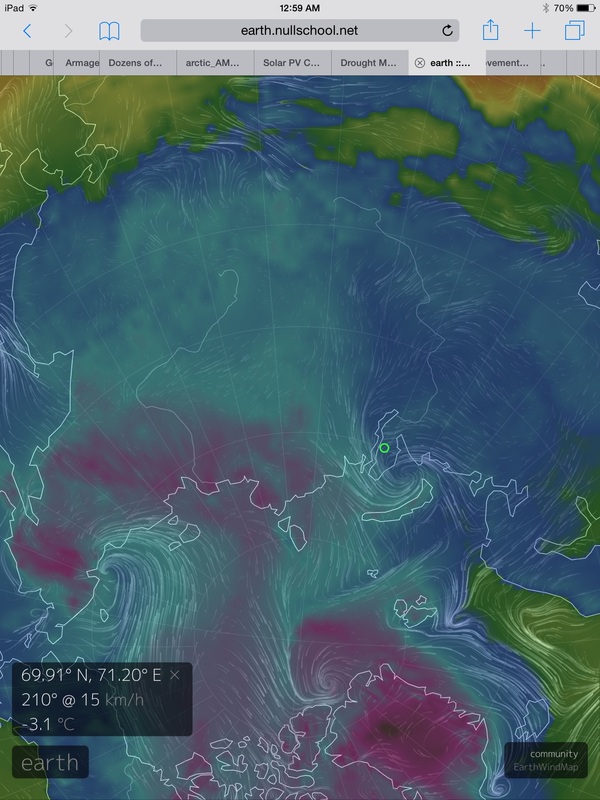 The Arctic is warming faster than it ever has, they accurately note. And this very rapid rate of warming is putting unprecedented and dangerous stresses on carbon stores, including methane, that have lain dormant for many millions of years. The risk of catastrophic release, therefore, is high enough to sound the alarm. On the other side are a number of mainstream news outlets backed up by a group of established scientists. This group claims that there’s generally no reason to worry about a methane apocalypse. The methane releases so far are relatively small (on the global scale) and there are all sorts of reasons why future releases will be moderate, slow in coming, and non-catastrophic. The methane store most pointed toward by methane catastrophists — a frozen water methane known as hydrate — tends to self-regulate release, in most cases, acting as a kind of pressure valve that would tend to moderate emission rates and prevent instances of catastrophic eruption (Please see The Long Thaw). A third group appears to have somewhat sidestepped an otherwise polarized discourse. Outlets like ThinkProgress and others have continued to quietly report observations without drawing conclusions, one way or the other, on the issue of near term methane apocalypse. They point, instead, to what are, admittedly, some rather odd and scary methane rumblings going on near the pole. Among this ‘middle ground’ group are a survey of about 100 researchers who’ve identified a likely carbon release (including both methane and CO2) from the Arctic equaling between 10 and 35 percent of the human emission by the end of this Century (Please see High Risk of Permafrost Thaw). It is a ‘middle ground’ that is troubling enough. For 10-35 percent of the human carbon emission coming from the Arctic is a massive release in the range of 1 to 3.5 gigatons of carbon (with a fraction as volatile methane). If such an emission does materialize, it will equal (on the low end) or exceed the annual rate of environmental carbon release last seen during the PETM — a hothouse extinction 55 million years ago that turned the oceans into killers and forced life on land to shrink in size and burrow to avoid the awful heat and stifling atmosphere of that age. Regardless of where you stand in this discourse, the Arctic itself continues to provide cause for both debate and appropriate concern. Perhaps the most obvious sign that there’s something not quite right going on in the Arctic is a large overburden of both methane and CO2 in the region. 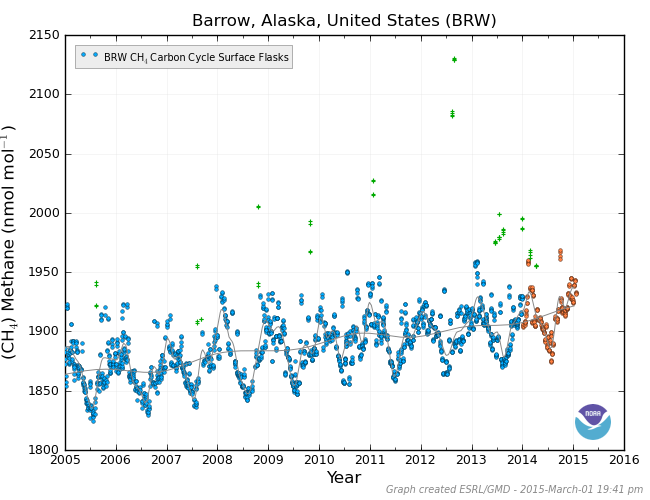 Looking at NOAA’s ESRL site, we find that methane levels at Barrow, Alaska (one of just a handful of Arctic sensor stations in the ESRL network) are in the range of 1910 parts per billion. By comparison, NOAA’s Mauna Loa Station, on the edge of the tropics and well away from the polar overburden, records about 1850 parts per billion (ppb). At current rates of atmospheric methane increase, it will take about 9 years for Mauna Loa to catch up to where Barrow is now. But by that time Barrow may be pushing 1970 ppb or more. In addition, all Arctic stations record numerous anomalous spikes in methane from local sources. The ESRL site lists these spikes as outliers. But, for all the ESRL reporting stations, the Arctic stations are the ones that host by far the most numerous such outliers. The local methane sources, therefore, appear to be quite active in the Arctic. An observation that polar scientist, Dr Jason Box, admits keeps him awake at night. Perhaps the most reliable way to sample the Arctic methane overburden is to get a full view of it through satellite sensors. The above NASA image taken in 2011 shows a massive methane overburden in the upper latitudes that slowly diffuses southward. Note the highest concentrations in this image are near the permafrost zones in Yedoma in northeastern Russia. 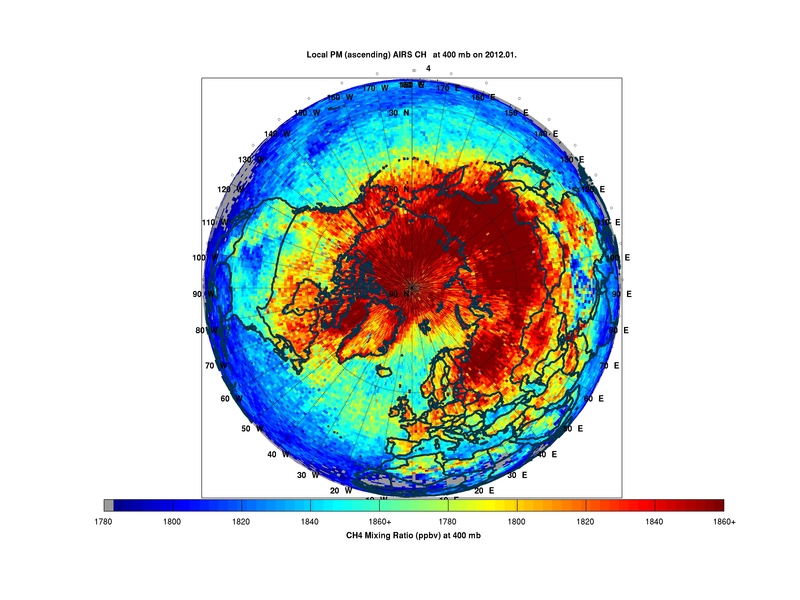 NOAA also provides its METOP array which frequently finds methane concentrations at above 2400 parts per billion at the 10,000 to 20,000 foot level in broad blankets over the Arctic region — especially in the months of September through November and then again in January. Again, these measures are the highest in any region of the globe and they occur directly over the Arctic. 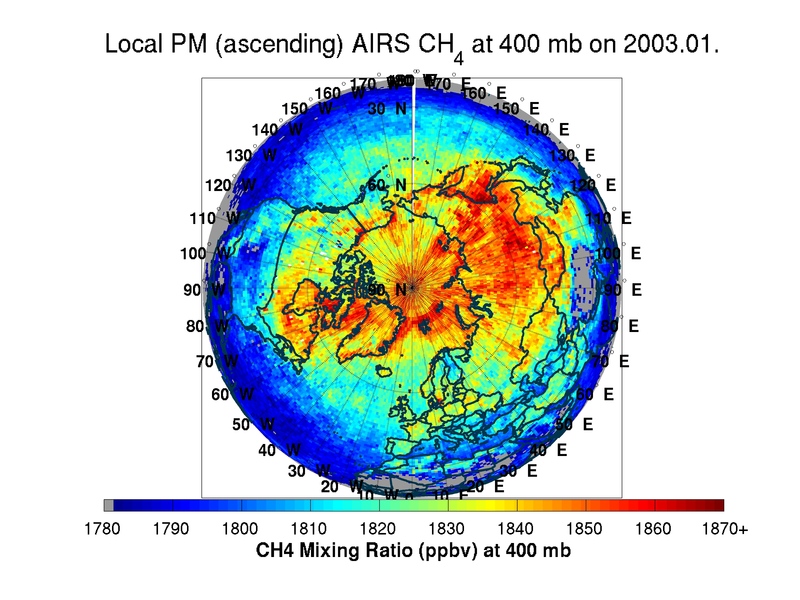 In the above image we see methane measurements at the 18,000 foot altitude above the Arctic and upper latitudes. The progression is from January of 2009 (furthest left) to January of 2013 (furthest right). 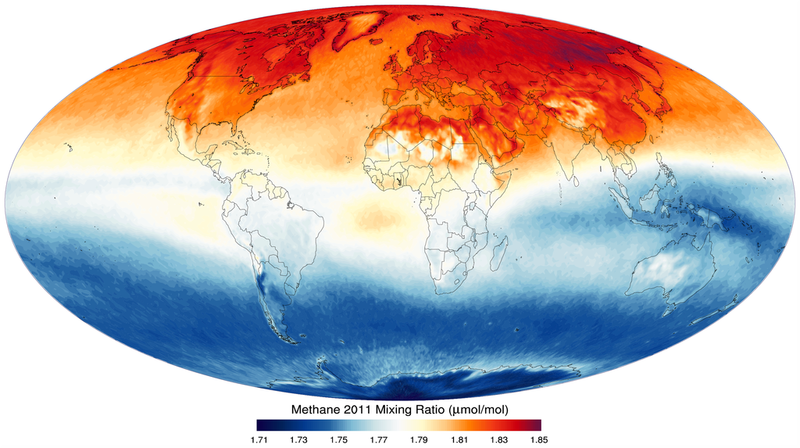 Orange coloration represents methane readings in the range of 1850 to 1950 parts per billion. Deep red coloration is in the range of 2000 parts per billion. Note the shift from blues and yellows (1700-1800 ppb) to oranges and reds (1850-2000 ppb) during the five years from 2009 to 2013. So not only does the AIRS sensor show overburden, but it also finds methane build-up over the period measured. But even if we do have both a buildup of methane in the polar region together with what looks like an ominous overburden, we should be quick to point out that the rate of increase, especially on the global scale, has been mostly steady so far. Under any catastrophic methane release scenario, we would expect Arctic methane to rapidly jump higher, dragging the global measure along with it. In general, we’d expect almost all sensors to pick up the signal of an exponentially ramping curve. And we don’t see that as yet. Current methane growth in the Arctic, including 2012, is gradual… If a sudden venting (bubbling) of methane would happen due to intense hydrates destruction, IASI would be able to detect it NRT. Though there has been a bit of an uptick in global and Arctic methane increase rates during recent years, they have maintained about a 4-7 ppb annual increase since ending a decade-long pause from 1995 to 2005. It is worth noting, however, that the global methane measure increasing at an exponential rate would be a trailing measure indicator — occurring only in the wake of any catastrophic or large-scale release. So, as a predictor, the global methane measure isn’t very useful. Which brings us to the key question — what are the leading indicators of major methane releases or of catastrophic releases of the kind some have feared? Since we have never directly observed one, and since large-scale or catastrophic releases are merely theoretical at this time, we can only point toward evidence of past large scale releases, and an ongoing, but apparently growing, smaller scale release happening now. The first such related observation may well have come in the form of an increasing methane emission from Thermokarst Lakes. 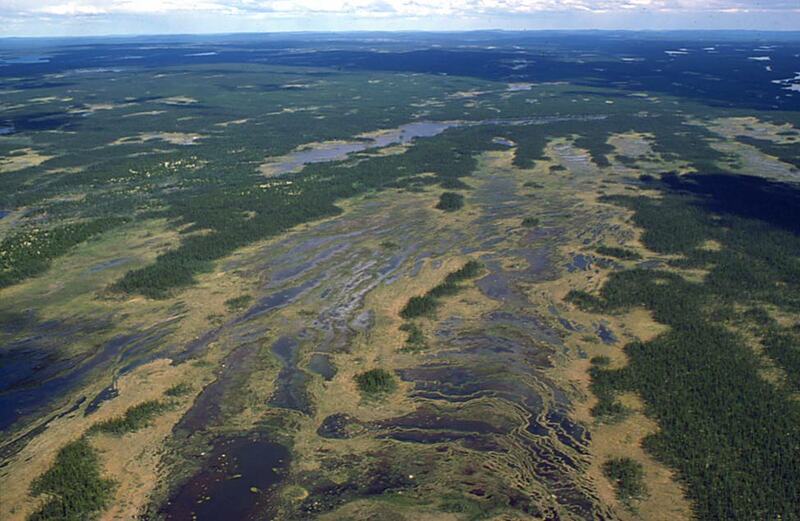 Thermokarst Lakes form when sections of permafrost thaw and collapse, creating a depression. In wet regions, water soon pools within these hollows. Organic material at the bottom of the pool is provided by thawing permafrost. In the anaerobic lake bottom environment, methane is generated as the organic material is broken down. 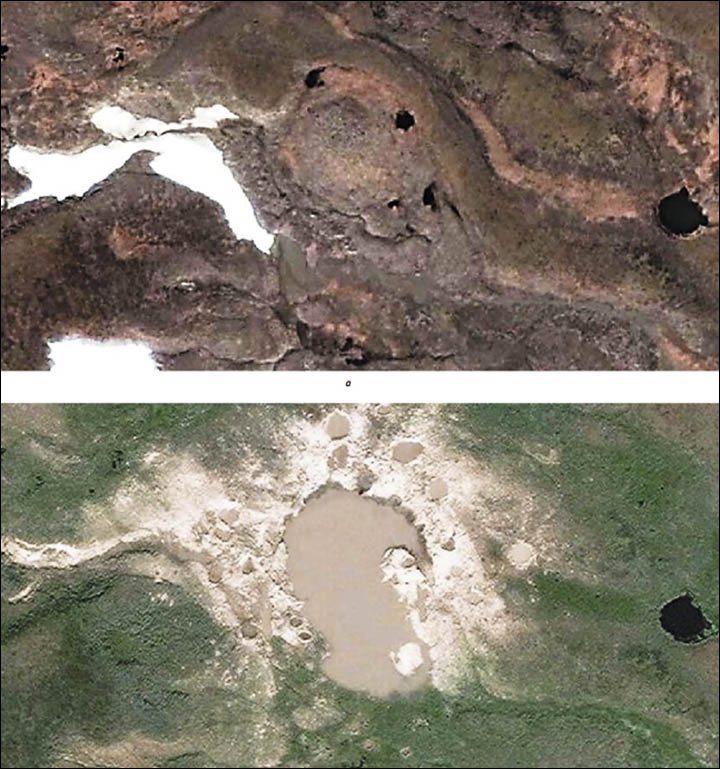 Over recent years, this increasingly widespread Thermokarst thaw and formation has resulted in a number of Arctic ‘fire lakes’ popping up — lakes whose methane emission is so great that bubble concentrations are high enough to burn. During winter, these bubbles are trapped beneath ice and when released, create an explosive mixture. From the 1970s through the mid 2000s, it is estimated that some regions of the Arctic experienced as much as a 58 percent increase in methane release due to Thermokarst Lake formation alone. An important measure since a number of studies found that Thermokarst Lake formation was one of the primary drivers of methane release from the Arctic at the end of the last ice age. But as a catastrophic release driver, Thermokarst Lake formation is relatively mild, even if it is capable of pushing Arctic methane release levels higher. As such, the next indicator — a discovery of large methane releases from the ocean floor in the Arctic — was somewhat more concerning. For as of 2011 an expedition to the East Siberian Arctic Shelf (ESAS) found massive plumes of methane as large as 1 kilometer across emitting from the shallow sea bed region off Northeastern Siberia. The researchers, Shakhova and Similetov, seemed very concerned that this might be a sign of a potential impending large scale release on the order of 1 to possibly 50 gigatons. The methane stores for the ESAS alone were massive — in the range of hundreds of gigatons. So even a fractionally small release from this source could be devastating. For reference, a 1 gigaton release would more than double the annual methane release from all global human and natural sources. A 5 gigaton release, on its own, would be enough to more than double atmospheric methane concentrations. And since methane traps heat more than 20 times as efficiently as CO2 over a century time-scale, such a release would result in far more rapid warming than previously predicted by scientific bodies such as the IPCC. A very rapid rate of warming that would be extraordinarily difficult for human civilizations to adapt to. Of course this announcement set off amazing controversy. We couldn’t be certain what the source of this methane was, some said. 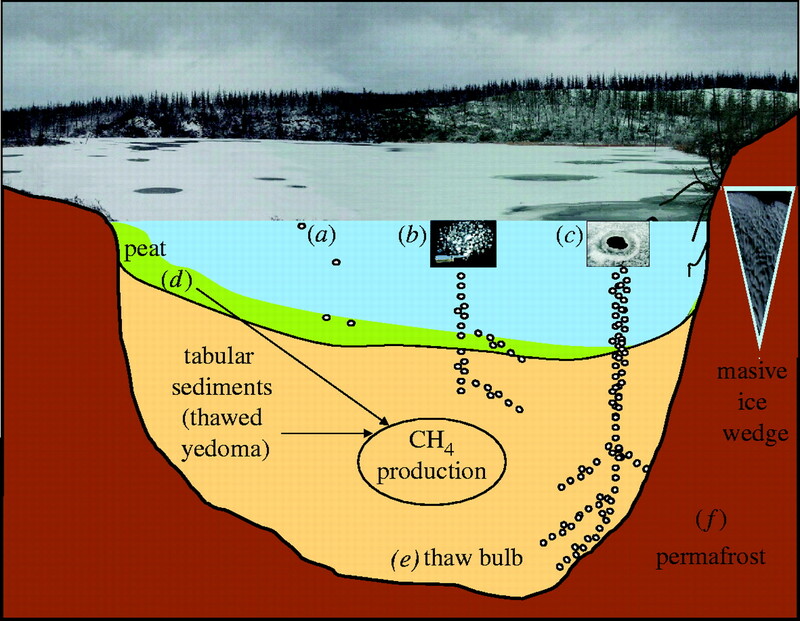 Was it submerged permafrost methane? Was it hydrate? Was it free gas methane? And how could we be certain that this release hasn’t been ongoing for some time? If such a methane release was building up to a catastrophic event, what mechanism would be the cause? In other words, how might gigatons of methane suddenly blow up from the sea bed? 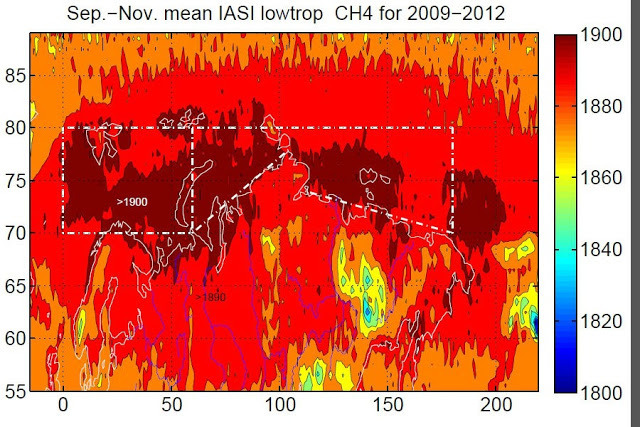 (Lower troposphere methane concentrations over the Kara, Laptev, and East Siberian Seas during September-November of 2009-2012 shows overburden in active oceanic release zones. Image source: Dr. Leonid Yurganov). This point is worth a bit of further exploration. The issue is that the most unstable form of methane when warmed is the methane hydrate store mentioned above. Methane hydrate is a frozen combination of gas methane and water. It crystallizes into a kind of fire ice under high pressure and in low temperature environments. It typically forms about 200-600 feet below the sea bed as methane bubbling up from warmer regions below contacts seawater, high pressure and cold. If the layer is warmed under human heat forcing, the hydrate thaws releasing its gas. The gas now becomes stored in pockets under high pressure. The gas below pushes against the sea bed above and some of it bubbles out (and these releases are found in the large plumes along the ESAS and elsewhere). But most of it, so far, has remained entombed. What, then, could cause the large stores of entombed gas releasing from destabilizing hydrate, to break through hundreds of feet of seabed — hitting first ocean water and then atmosphere? Over the past four years conjecture over this issue has raged on. Swelling at points when Shakhova and Similetov would make a new announcement and then ebbing as a wave of reassurances would rush in from scientific critics and mainstream media. By summer of 2014 a discovery of new, large-scale plumes in the Laptev Sea by the SWERUS C3 expedition set off another wave of media speculation and controversy. But as the dust settled it became clear that the Laptev sea floor had been added to the list of methane hot spots in the Arctic, following in the footsteps of the ESAS region as an area to watch for potential increasing rates of release. In nature, gasses under high and increasing pressure often find pathways for escape. Typically, the escape is gradual — we see this in volcanic regions in the release of magma gasses through cracks in the earth and through vent pathways. 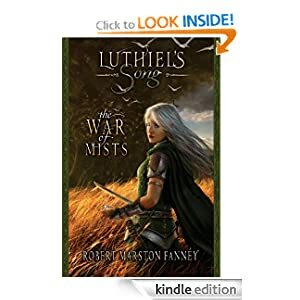 And sometimes the escape is far more violent — with hot volcanic gasses blowing away even hill or mountainsides in spontaneous eruption, or bubbling out, en mass, through volcanic lakes to spill toxic plumes over a countryside. The gas source in question for Arctic methane release — hydrate — is very large. Even at the low end, it is estimated that hundreds of gigatons of the stuff lay buried beneath frozen tundra ground or in ocean stores beneath the seabed. A gigaton is one billion tons. A billion tons of frozen hydrate would cover roughly one cubic kilometer. One cubic kilometer of a flammable gas under high pressure. And in the Arctic, hundreds of billions of tons lay under rapidly warming permafrost both on land and in the submerged seabed. As of 2011, some scientists were warning that we were seeing a slow release from some of this submerged hydrate store in the ESAS. By 2014, the potential slow release had expanded into the Laptev Sea. But that year, 2014, also saw something else. A potential catastrophic release of methane. For in the frozen region of Yamal, Russia the earth near a remote Siberian village began to destabilize. Soon after, according to eyewitness accounts, the area began to smoke. Then, with a bright flash, the ground erupted. When the smoke cleared, a massive crater was found where only flat, frozen tundra was there before. A giant plug of frozen earth had been ejected violently. And all that remained was an ominous gray-black crater. Researchers investigating the crater found 10 percent atmospheric methane concentrations at its base. Overall, it was estimated that about 11 tons of TNT equivalent explosive force was enough to remove this 100+ foot wide and 220 foot deep plug from the Earth. Exploding and burning methane in the range of about 10 tons would have been enough to generate the crater. Gas under high pressure in the hundred + ton range may have been able to explosively excavate this hole. As a result, the amount of methane in question for this single event was relatively small, especially when one considers the hundreds of billions of tons in the still frozen store. It appeared that the rapidly warming Yamal territory and a broad region of nearby Northwestern Siberia may be seeing tundra warming extending deep enough to begin to destabilize pockets of relic hydrate. The hydrate in some of these pockets was beginning to thaw and catastrophically erupt to the surface. By early 2015 a total of seven primary craters and scores of secondary craters of this kind had been discovered throughout this section of Siberia. Local Russian authorities were very concerned — moving seismographs into the area to monitor ground stability in a region that includes one of their largest natural gas developments. A large upheaval of this kind in the wrong place would easily rupture a pipeline or destroy sections of a gas production operation. But the deeper irony was that continued gas production in this region was contributing to a problem that may well be making the ground far, far less stable and setting up the risk for even larger-scale eruptions. For the Yamal crater wasn’t important due to the relative size of its methane release — the release was very small in the global context. 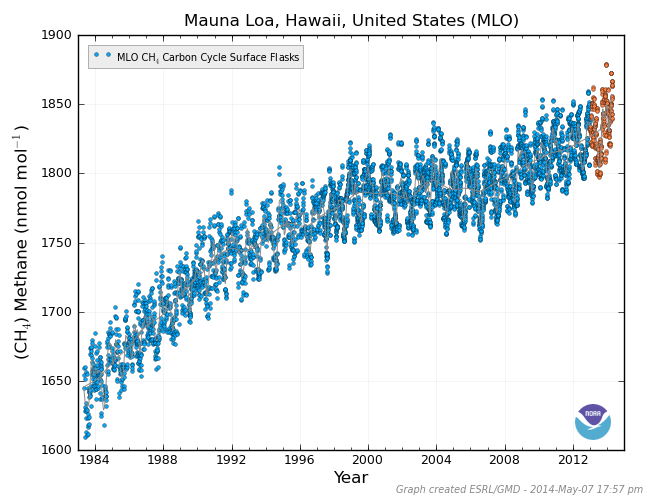 A mere drop in an ocean of greenhouse gasses being emitted now by humans. It was important due to two other, and perhaps more stark, reasons. The first was the very violent nature of its release — an eruption similar to that of a volcano — represented a severe geophysical upheaval that was all too likely triggered by a rapid human warming of the tundra. This kind of release, as the Russians in the region were quick to realize, represented a danger to both inhabitants and to infrastructure. But the second reason is, perhaps, more important. It is the fact that the Yamal crater may well be evidence of the kind of mechanism for catastrophic methane release some of the more conservative scientists have been demanding. It’s possible, then, that the Yamal crater is in microcosm, what a truly catastrophic methane release might look like on the much larger scale. And the critical question to ask here is — could there be a connection between the methane blowholes we are now observing in the Arctic and a number of mysterious and gigantic craters discovered on the sea bed around the world? 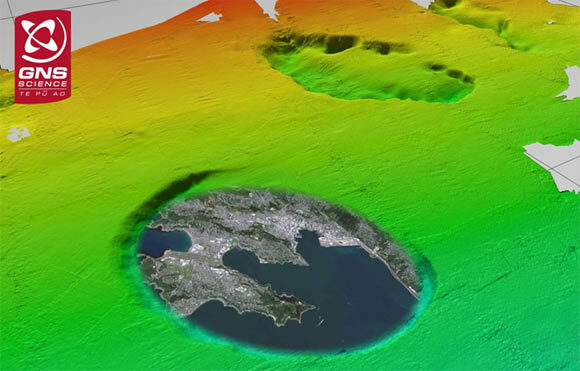 In 2013, marine geophysicist Dr Bryan Davy from GNS Science found what may be the world’s largest gas eruption craters on the seafloor about 310 miles east of Christchurch, New Zealand. The craters, which the researchers called ‘pockmarks,’ formed in an active gas zone along the ocean bottom. They measured from 250 meters to 7 miles in diameter and about 300 feet deep. With the largest crater able to encompass all of lower Manhattan. The craters are thought to have formed during ice ages when sea levels lowered off New Zealand causing the sea bed to warm and gas hydrate to thaw. Eventually, the gas is thought to have erupted into the surrounding water with a portion bubbling up into the atmosphere. Gas release from the larger pockmarks may have been sudden and possibly even violent, with a massive volume being expelled into the ocean and atmosphere within hours or days. The 300 foot depth of the craters touched the hydrate stability zone even as their large size indicated that massive pockets of the gas lifted away large sections of sea bed suddenly and violently. 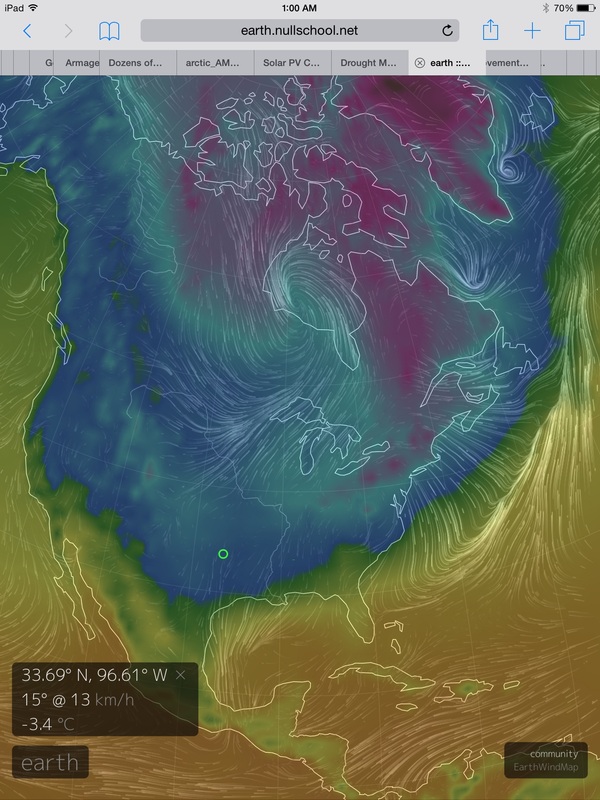 It’s the kind of rapid destabilized gas release that may well represent a worst-case Arctic warming scenario. So the question must be asked — is the Yamal crater physical validation of a catastrophic methane hydrate release mechanism that has circulated, as theory, through the geophysical sciences for decades? One that involves large eruptions that displace massive sections of earth and seabed during a violent release process. Are the Siberian methane blowholes smaller examples of what can happen on a much greater scale? And does the methane overburden in the Arctic, the documented increasing Thermokarst Lake release, the sea bed methane release in the Laptev and ESAS, and the new formation of methane blow holes in Yamal in the context of a rapidly warming Arctic tundra and sea bed (seeing unprecedented rates of warming) represent a growing risk for this kind of release? Under even a ‘moderate’ 1 to 3.5 gigaton Arctic carbon release rate by end century given by the survey of 100 Arctic scientists, there will likely be more than enough potential freed methane to include large scale catastrophic releases similar to the kind seen off New Zealand and elsewhere (250 meter to 7 mile wide cratering events). In this context, the issue is not one of ‘apocalypse now’ or ‘apocalypse not.’ That framing is all wrong. This issue is one of how much or how little geophysical upheaval and related methane release we will see — and how soon. One of how rapidly humans can stop making the situation even worse, by drawing down their own catastrophic emission rates as rapidly as possible. There is, therefore, more than enough cause for appropriate concern and continued monitoring of what appears to be an ongoing destabilization of Arctic carbon stores — large enough to represent a variety of hazards both terrestrial and atmospheric. The ground smoked for hours. Then, with a great flash and an enormous boom, the land exploded. When the smoke cleared, all that was left was a great, black hole. Ejected earth lay scattered around it — sheer sides plunging into the permafrost like some gigantic, gaping gun barrel. This was the scene last summer in Yamal, Siberia — a region of extreme northern Russia. Speculation about the cause of this mysterious hole became rampant. It looked like a sink hole, except for the ejected material surrounding it. Some said it was a pingo. But pingos weren’t known to form due to explosions. Teams of scientists rapidly descended upon the hole. And there they found high readings of methane at the hole’s base — in the range of 10% concentration, which is a very explosive level for the gas. At the base of the hole they also found evidence of hydrate. A form of frozen water-methane that is quite unstable unless kept under high pressure and low temperature. The initial conclusion of the Russian scientists was that relic hydrate sealed beneath the previously flooded Siberian permafrost had been destabilized. Eventually reaching an explosive concentration, it then erupted from the ground. 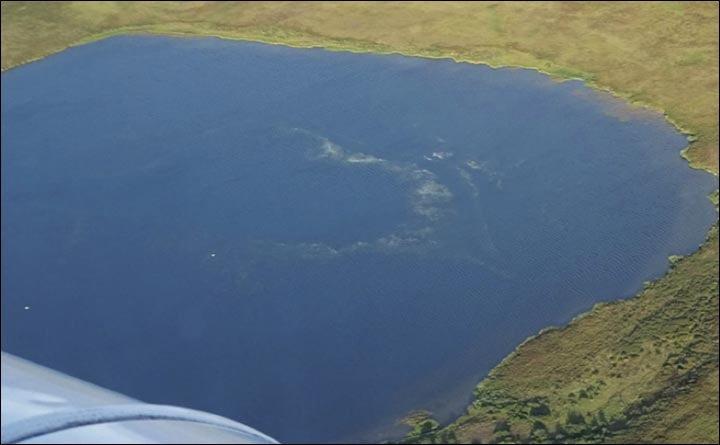 Discovery of this methane crater spurred a sweep of the area. Almost immediately, two other craters with similar features were discovered. And throughout fall and winter, both ground searches and satellite reconnaissance identified still more. 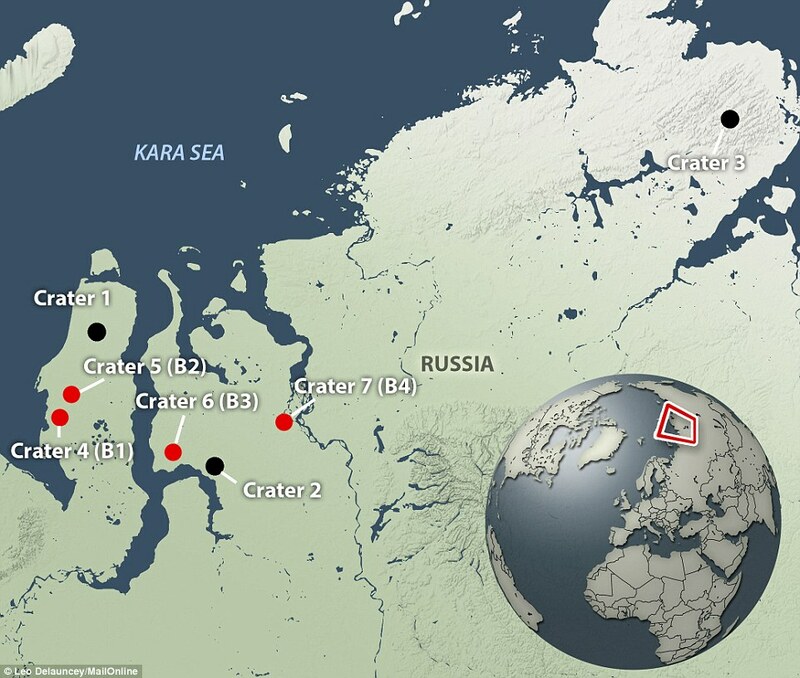 Now, according to recent reports in the Siberian Times, a total of seven craters with features similar to the Yamal eruption have been pinpointed by observers. Just one of these craters (shown above) hosted about 20 smaller ‘baby craters’ surrounding it. In this instance, a large methane store below the permafrost is thought to have explosively displaced a shot-gun pattern of frozen soil sections before filling with water. Most of the craters, like the one above, were observed to rapidly fill with water even as they continued to emit methane. In many instances, the methane emission was visible as bubbles on the newly formed lake surface. 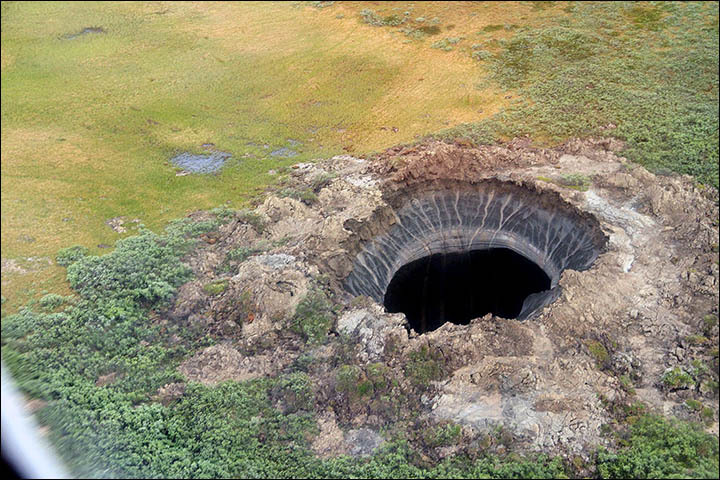 Additional reports from reindeer herders have led these same scientists to believe that in the range of 20-30 of these methane eruption holes are likely to exist in this region of Northwestern Siberia. 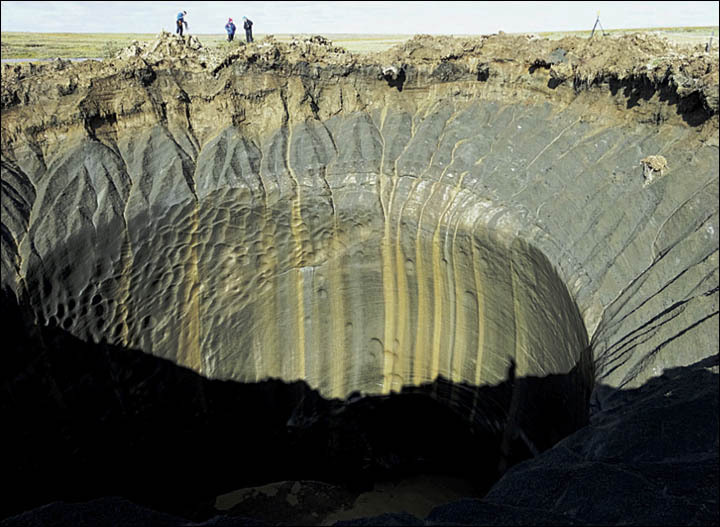 The fact that reindeer herders keep discovering new holes and that the first Yamal craters discovered earlier this year were recent events have led local scientists to believe that the eruptions are a new phenomena for Siberia. There, temperatures have warmed by a stunning 2 degrees Celsius within the mere span of 14 years. A very rapid rate of warming that is putting severe stress on the geophysical stability of this Arctic region. In other words, it was colder in North Texas last night than it was in Yamal, Siberia near the 70 degree North Latitude line beside the Arctic Ocean. This extremely rapid warming is thought by Russian scientists to have destabilized zones of relic hydrate trapped beneath the permafrost. There, the methane gas bonded with water to form a kind of methane ice. Sandwiched beneath frozen permafrost, the hydrate remains stable so long as temperatures and pressures are relatively constant. Any increase in warmth — either through geological processes working below the hydrate, or from changes at the surface causing permafrost to melt and warmer, liquid water to contact the hydrate — would result in increased hydrate instability. In some cases, the gas would very rapidly liberate from its frozen traps forming increasingly high pressure pockets beneath the permafrost. If these pockets reach 10 percent methane concentration, they become very explosive and can be ignited when in contact with a catalyst or ignition source. The result, either due to very high pressure or ignition, is plugs of permafrost exploding from the ground as the gas erupts to the surface. It is important to note that the amount of methane liberated by these initial eruption events is likely rather small — when considered on the global scale. 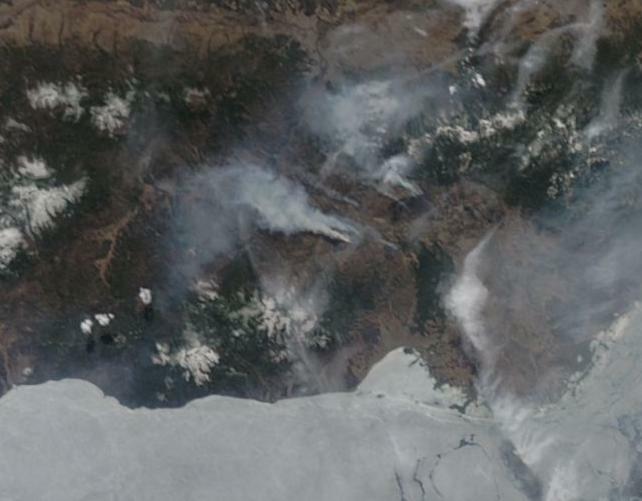 However, what we see in Siberia now may be part of a growing and ominous trend. First, we do not know the size of the potential methane store that could be liberated in such an explosive fashion. And the question must be asked — if we are looking at such rapid warming of methane hydrates in shallow sea and former shallow sea regions, what scale eruptions could we potentially experience in the future? Could very large sections of hydrate go critical? Areas possibly covering hundreds or thousands of square meters or more? 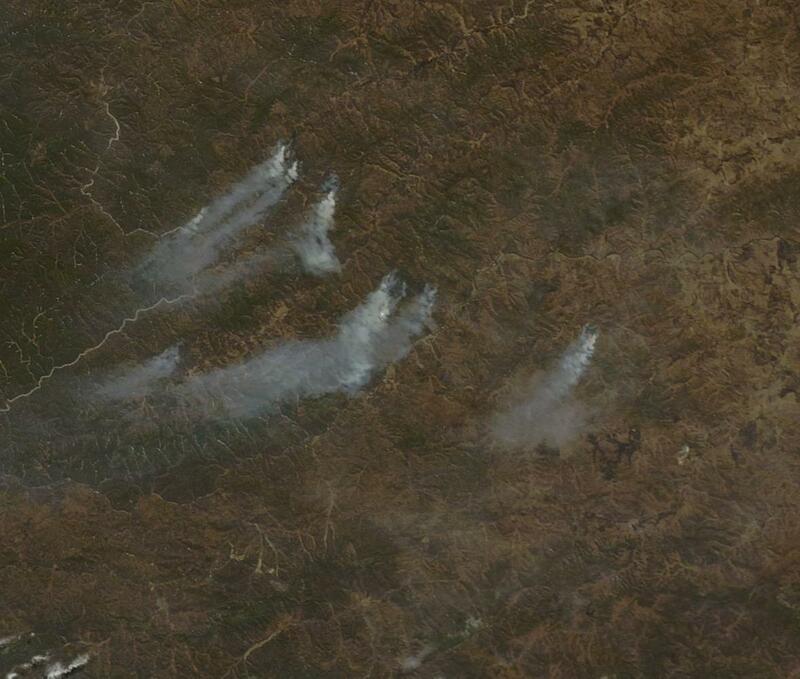 Second, it appears that these methane eruptions provide pathways for ongoing release. Not all of the gas in the relic hydrate is initially liberated. And the structures that remain apparently release methane gas for some time — as is evidenced by continued high methane concentrations found at crater sites and by observed emissions from crater lake surfaces. In essence, if this is a growing trend, then it is a rather unsettling one. Especially when one considers that it is just a single instance of many possible amplifying carbon feedbacks set off by a very rapid human warming. Particularly, the explosive land and ocean floor-altering nature of this specific carbon feedback makes it especially troubling. For it encompasses the very nature of a catastrophic upheaval. In the end, the question must be asked — is Siberia sitting atop a methane volcano that is being prodded to rapid wakening by high-velocity human warming? Are Siberia’s Mysterious Craters Caused by Climate Change? Fens. A word that brings with it the mystic imagery of witch lights, Beowulfian countrysides, trolls, swamp gas, dragons. A sight of crumbling towers overlooking black waters. Now, it’s a word we can add to our already long list of amplifying Arctic feedbacks to human-caused warming. For the rapid formation of Arctic fens over the past decade has now been linked in a recent scientific study, at least in part, to a return to atmospheric methane increases since 2007. Over the past 800,000 years, ice core records show atmospheric methane levels fluctuating between about 800 parts per billion during warm interglacial periods and about 400 parts per billion during the cold ice age periods. These fluctuations, in addition to atmospheric CO2 flux between 180 and 280 parts per million value were due to Earth Systems feedbacks driven by periods of increased solar heat forcing in the northern hemisphere polar region and back-swings due to periods of reduced solar heat forcing. Apparently, added solar forcing at the poles during periodic changes in Earth’s orbit (called Milankovitch Cycles) resulted in a flood of greenhouse gasses from previously frozen lands and seas. This new flood amplified the small heat forcing applied by orbital changes to eventually break Earth out of cold ice age periods and push it back into warm interglacials. 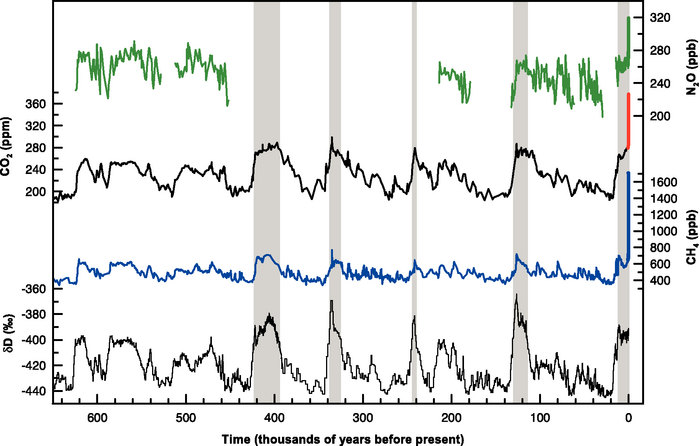 Compared to current human warming, the pace of change at the time was slow, driving 4-6 degrees Celsius of global atmospheric heating over periods of around 8 to 20 thousand years. A small added amount of solar heat gradually leached out a significant volume of heat trapping gasses which, over the course of many centuries, undid the great grip of ice on our world. 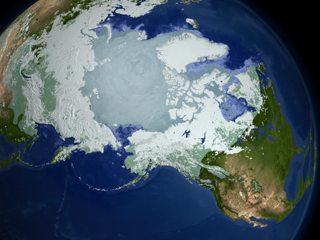 By comparison, under business as usual human fossil fuel emissions combined with amplifying feedbacks from the Earth climate system (such as those seen in the fens now forming over thawing Arctic tundra), total warming could spike to an extraordinarily damaging level between 5 and 9 degrees Celsius just by the end of this century. A combination of observation of past climates and tracking the ongoing alterations to our own world driven by human greenhouse gas emissions has given us an ever-clearer picture of how past climates might have changed. As Earth warmed, tundra thawed and ice sheets retreated releasing both CO2 and methane as ancient organic carbon stores, trapped in ice for thousands to millions of years, were partly liberated from the ice. 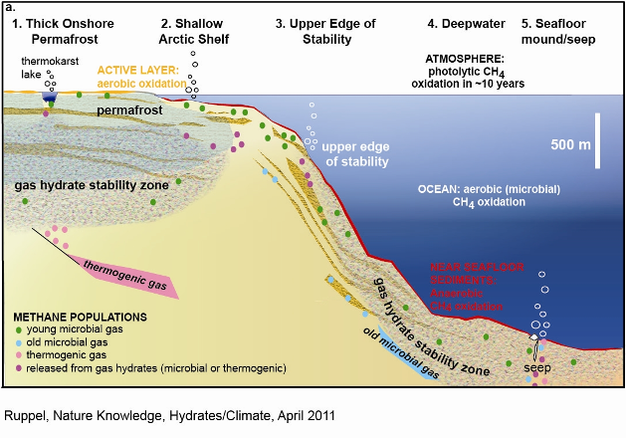 In addition, warming seas likely liberated a portion of the sea bed methane store even as warming brought on a generally more active carbon cycle from the wider biosphere. Overall, the added heat feedback from the increases in atmospheric methane to due these processes was about 50% that of the overall CO2 feedback, even though the volume of methane was about 200 times less. This disproportionately large share of heat forcing by volume is due to the fact that methane is about 80 times more efficient at trapping heat than CO2 over the course of 20 years. In the foreground of this comparatively rosy picture of gradual climate change driven by small changes in solar heat forcing setting off relatively more powerful amplifying greenhouse gas feedbacks, we run into a number of rather difficult problems. The first is that the rate at which humans are adding greenhouse gasses to the atmosphere as an initial heat forcing is unprecedented in the geological record. Even the great tar basalts of the end Permian Extinction were no equal to the rate at which humans are now adding heat trapping gasses to the atmosphere. In just a short time, from 1880 to now, we’ve increased atmospheric CO2 by 120 parts per million to around 400 ppm and atmospheric methane by more than 1100 parts per billion to around 1840 parts per billion. The result is an atmospheric heat forcing not seen in at least the past 3 million years and possibly as far back as 10 million years (due to the radical increase in methane and other non CO2 heat trapping gasses). This extraordinary pace of heat trapping gas increase has led to a very rapid pace of global atmospheric temperature increase of about .15 degrees Celsius per decade or about 30 times that of the end of the last ice age. As atmospheric heat increases are amplified at the poles and, in particular in the northern polar region, the areas with the greatest stores of previously frozen carbon are the ones seeing the fastest pace of warming. 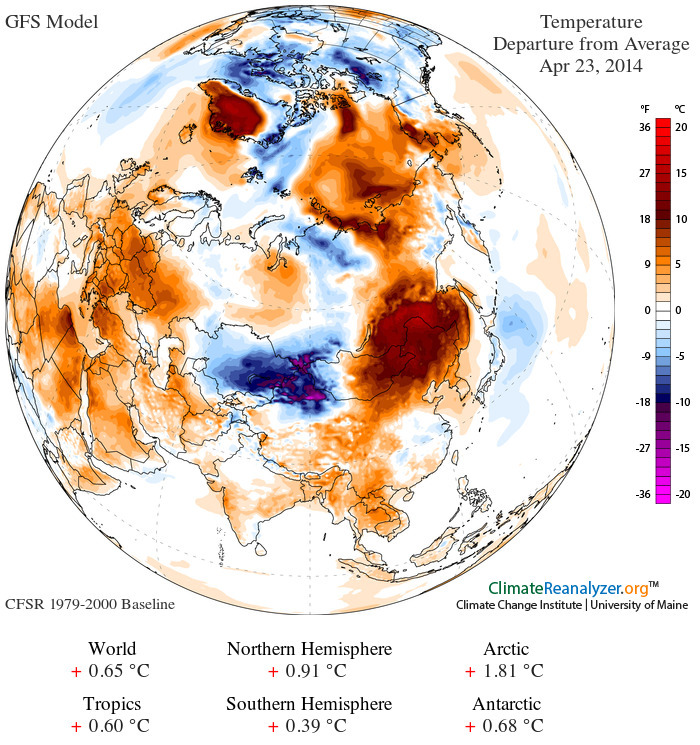 Siberia, for example, is warming at the rate of .4 C per decade. Overall, the Arctic has warmed by about 3 degrees Celsius since 1880 or nearly 4 times the pace of overall global warming. 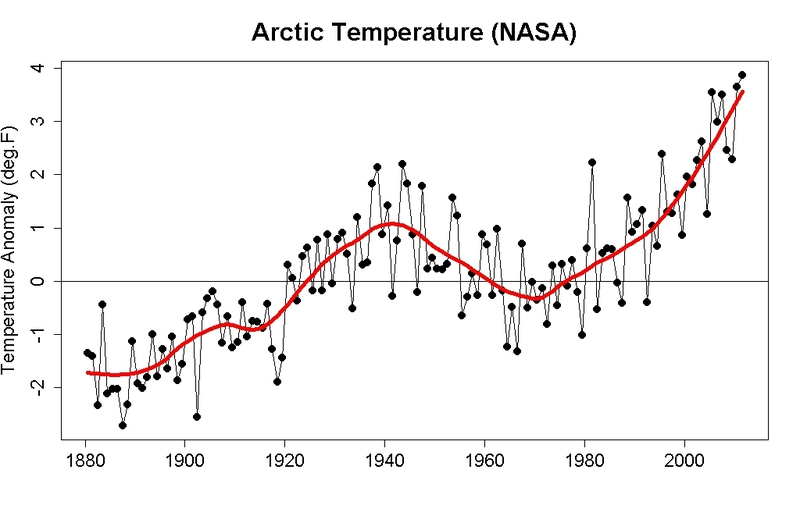 The result is that, over the past two decades, the Arctic has been warming at the pace of about .6 C (1 F)every ten years. And what we are seeing in conjunction with very rapid warming is an extraordinary high-velocity thaw. A thaw that is rapidly liberating stored organic carbon locked in tundra at a rate that may well have no rational geological corollary. So it is in this rather stark set of contexts that a study released in early May examining 71 wetlands around the globe found rapidly melting permafrost was resulting in the formation of an immense number of fens along the permafrost thaw boundary zone. Tundra melt in lowlands became both sources and traps for water. Such traps gained added water as atmospheric temperature increases held greater levels of humidity resulting in increased heavy rainfall events such as thunderstorms. These newly thawed and flooded fens, the study found, were emitting unexpectedly high volumes of methane gas. From the methane standpoint, fens are a problem due to the fact that they are constantly wet. Whereas bogs may be wet, then dry, fens remain wet year-round. And since bacteria that break down the recently thawed organic carbon stores into methane thrive in a constantly wet environment the fens were found to be veritable methane factories. A powerful amplifying feedback loop that threatens to liberate a substantial portion of the approximately 1,500 gigatons of carbon stored in now melting tundra as the powerful heat trapper that is methane. By comparison, drier environments would result in the release of stored carbon as CO2, which would still provide a strong heat feedback, but no-where near as powerful as the rapid environmental forcing from a substantial methane release. Climate scientists have long been concerned that rising temperatures in the Arctic, brought about by human caused global warming, could enhance the release of Arctic methane. The methane is stored on the sea bed in the form of methane hydrates, a form of frozen methane that is very unstable. Methane is also locked up in decayed biological matter on the tundras surrounding the Arctic or in the submerged tundra of the East Siberian Arctic Shelf. The volumes of carbon-based methane stored in this way are large. Larger, in fact, than all the carbon released by humans through the burning of fossil fuels since the industrial age began. In addition, methane provides a powerful kick to the climate system. Over the course of a hundred years it traps 20 times more heat than CO2, before turning into CO2 and adding even more insult to injury. So even a relatively small fraction of this methane making its way into the atmosphere can have a very significant impact. 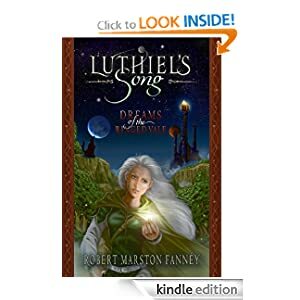 The concern of some scientists is that the initial warming caused by human emissions of CO2 and other greenhouse gasses will result in a forcing powerful enough to unlock this methane. To unlock it in high enough volumes that it creates a kind of runaway feedback loop (see Amplifying Feedbacks). Unfortunately, research in this very new field does indicate increasing releases of methane from the Arctic. Research conducted last year found very large plumes of methane bubbling up from the East Siberian Arctic Shelf. Many have cautioned that we shouldn’t draw too many conclusions from these early indications, despite the fact that previous observations found methane plumes measuring about 10 meters across, while later observations found methane plumes in the same region measuring more than 1 kilometer across. As you have probably noticed, there is a striking difference between the methane concentration in the January, 2003 image and that in the January, 2012 image. And based on the trend established in the period shown, we can clearly see we have an amplifying methane release over the past nine years. When added to observations of amplifying methane release from the seabed, a proliferation of melt ponds over the Arctic tundra releasing high levels of methane, a general melting of the Arctic tundra resulting in the release of methane from decaying material there, and now this series of satellite observations, it appears that we have solid evidence of an amplifying methane pulse in the Arctic. And this is cause for serious concern because it is a powerful feedback to the already strong climate forcing of human greenhouse gas emissions.